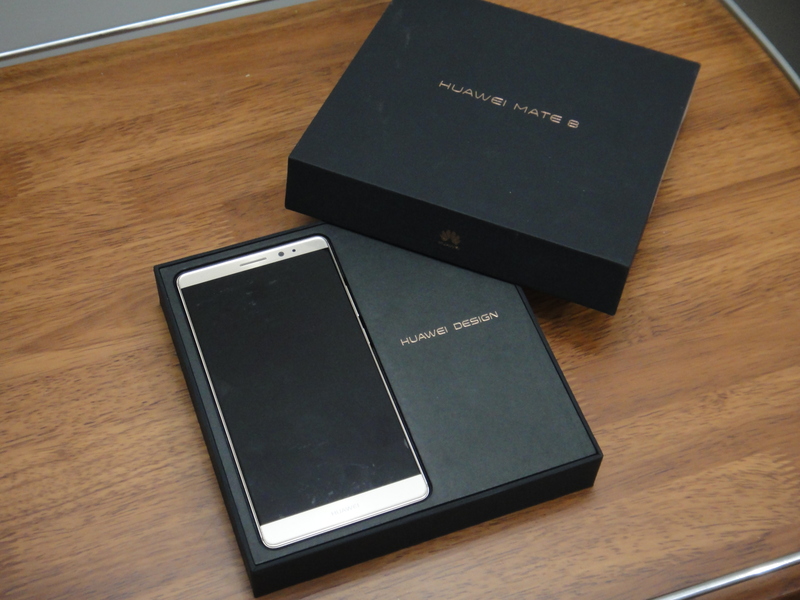 We received a Golden Mate 8 review unit with 64GB storage and 4GB RAM. 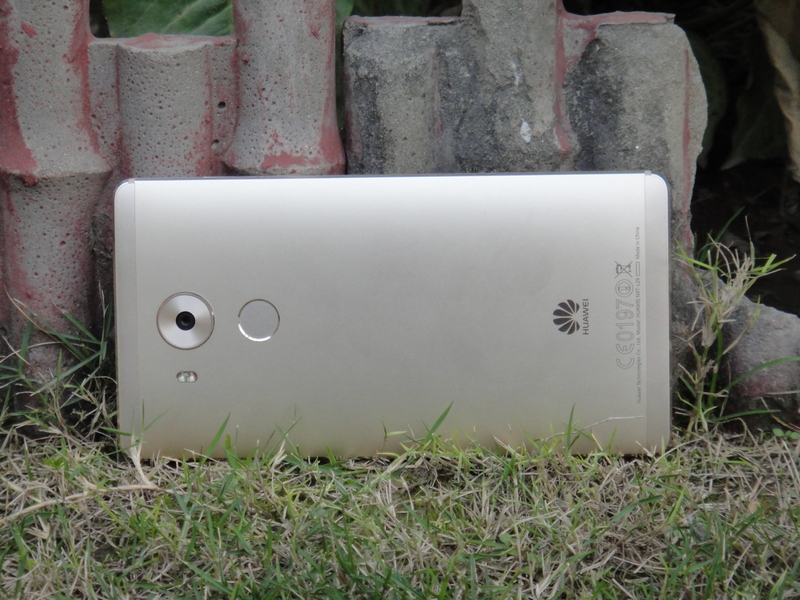 I’ve been using it as my daily driver for some while now and you can read all about my experience in the detailed Huawei Mate 8 review below. 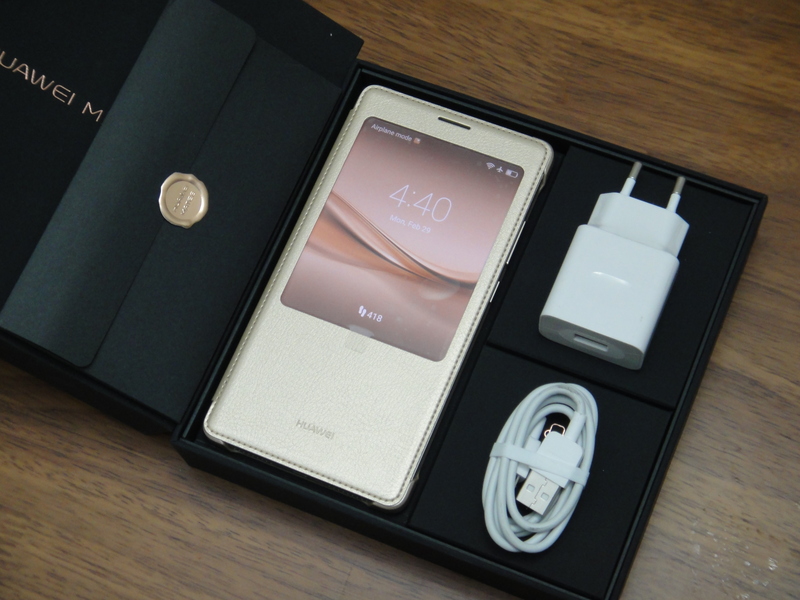 Huawei Mate 8 comes in a nice textured square box. Upfront. you’ll find the name of the device while the words “Huawei Design” and Huawei’s logo can be found on the sides of the box. In order to keep the design minimal, technical specs of the Mate 8 have been left out. Besides Huawei Mate 8 being on top, the insides of the Mate 8’s packaging is a bit different than what we usually have. There are 3 small boxes underneath the handset itself, each containing a set of different things. The largest one contains a Huawei Mate 8 smart cover and all the guides while the two smaller ones have the charging adapter, data cable and a pair of headsets. 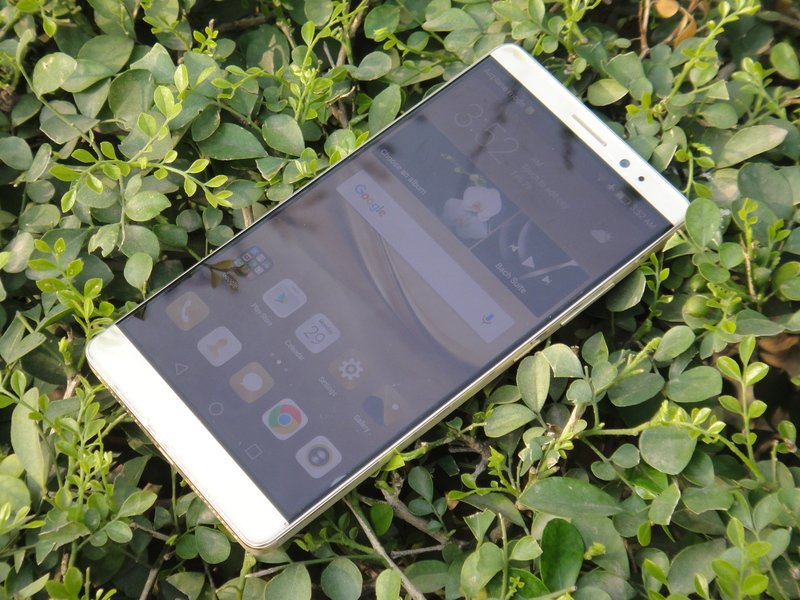 Mate 8 is the successor to last year’s Mate 7, which is why it inherits most of the good traits of its predecessor’s design. It boasts a huge 6.0-inch display with similar dimensions but a slightly improved screen-to-body ratio. This time around, the 6.0″ IPS-NEO LCD panel also has improved Gorilla Glass 4 protection. Mate 8 looks and feels as premium as any high-end flagship phablet should. The frame of the device is completely metallic with brushed metal sides and chamfered edges. The front of the device has minimal bezels and — upon looking closely — you’ll notice that it has a nice and simple texture above and below the display panel as well. The Mate 8’s sides are pretty clean with only three buttons (volume up/down, power) on one side and the Dual-SIM card tray on the other. Top of the device is host to the 3.5 mm headphone jack while the micro-USB port and the speaker grills are at the bottom of the device. When holding the Mate 8 for the first time, I did feel uncomfortable due to it’s large width and straight edges. The smooth but slippery metallic back also contributed to that. Thankfully, the feeling faded away with time and I felt as comfortable as I did with any other device. Despite that, one thing I never got used to is using the Mate 8 with a single hand. Obviously, this shouldn’t be a shocker since this isn’t something that’s specific to the Mate 8 and almost every 6.0″ phablet feels this way. Huawei’s Mate 8 packs a powerful octa-core processor with the HiSilicon Kirin 950 chipset. That combined with the 4 gigs of RAM (the 32GB variant comes with 3 gigs RAM only), provide a smooth experience, allowing you to seamlessly switch between applications. The GPU on-board is the Mali-T880 which lags behind in benchmarks due to having only 4 cores. Regardless, I’ve been able to play games — like Clash of Clans and Need For Speed No Limits — without any hiccups. The battery timings of the Mate 8 are where it really excels. It has a gigantic 4000 mAh Li-Po battery which lasts about 35hrs (~1.5 days) of heavy usage. Under normal use, I didn’t have to charge the Huawei Mate 8 for a little over 50 hours (~2 days). That is, in my opinion, great battery timings especially when most high-end devices don’t even survive a complete day of heavy usage. The Mate 8 comes with the latest Android 6.0 (Marshmallow) and Huawei’s Emotion UI 4.0 running on top of it. EMUI’s 4th iteration is pretty similar to what we have seen before so any user coming from another Huawei device should have no trouble getting around. Starting off with the lockscreen, it is (as mentioned earlier) quite similar to what we have seen before. If you choose the Magzine style, you’ll get to see a new lockscreen wallpaper every time you turn on the device. Otherwise, you can go with a single wallpaper of your choice as well. Regardless of what you choose, if you have fingerprint unlocking enabled, you’ll seldom get to see the lockscreen since it unlocks directly to the home. Not to forget, the lockscreen also has a drawer which contains a few quick-launch shortcuts and can be pulled up from the bottom. The EMUI4 Launcher is still the same-old same-old iOS inspired, drawer-less homescreen. Whether you like it or not, its a matter of personal taste. I personally do prefer my apps to be in a drawer, instead of being splattered all across my homescreens. I find the app drawer more manageable but your views might defer. Nevertheless, we’d like to see an option here so that the users can choose for themselves what they want. Swiping from top to bottom on the homscreen gets you a nice phone-wide search functionality. Not only that, but there also is a button to go and search online. You can switch between them by simply swiping left or right while the drawer is opened. Otherwise, there are buttons on top as well for doing the same. 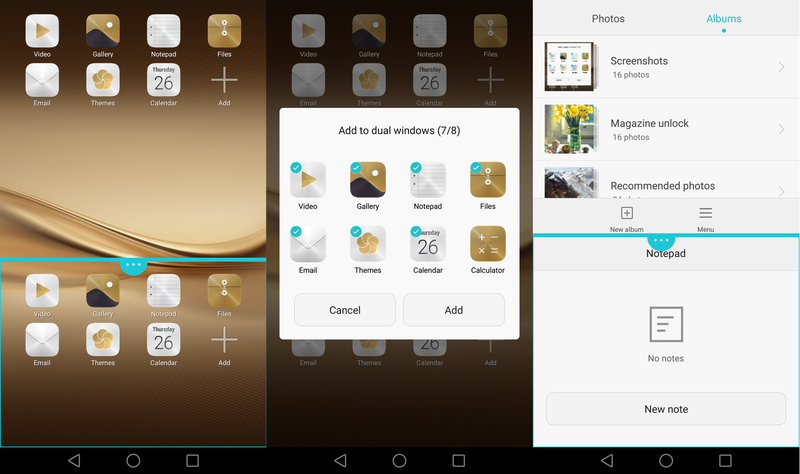 Mate 8 also features a Multi-window feature, similar to like what we have seen on Samsung’s Galaxy flagship devices. Sadly, Huawei’s implementation is quite limited and has a lot of room for improvements. 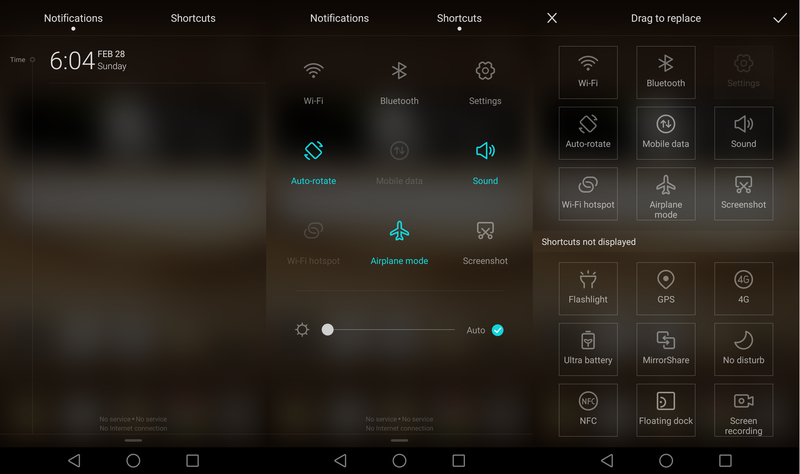 For now, it only supports 8 built-in applications that can be used in the multi-window mode. 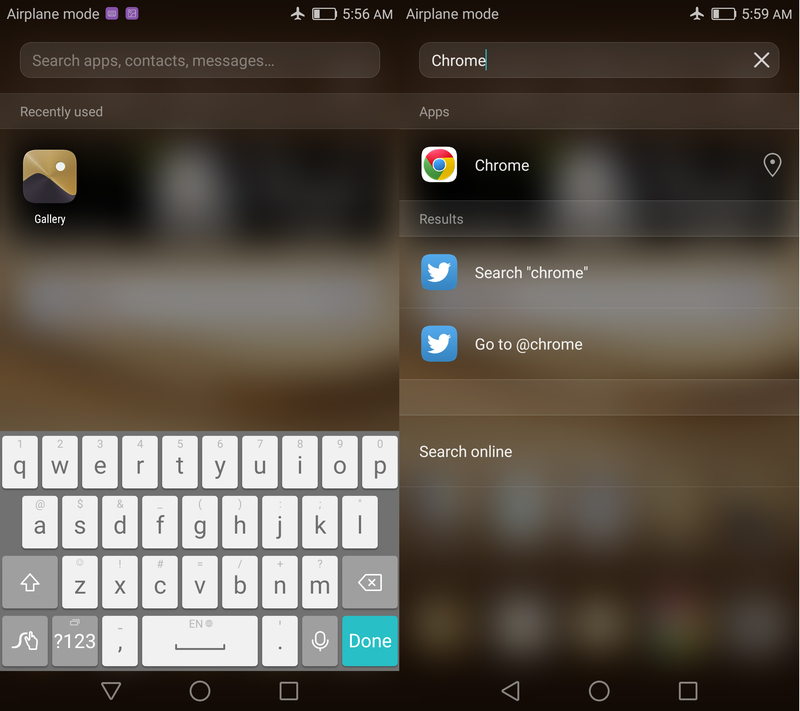 To initiate the multi-window mode, you have to hold the recent applications soft-button or can use the respective knuckle gesture. 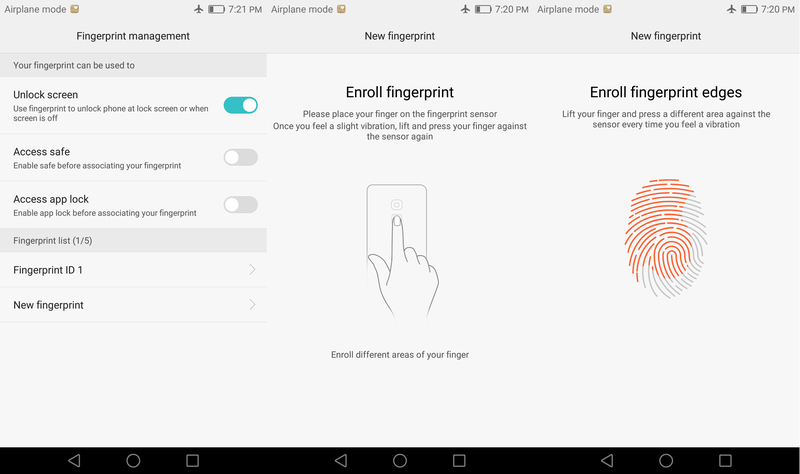 Knuckle gesture control is another feature which is available on the Huawei Mate 8. It enables you to perform different actions using your knuckles e.g. 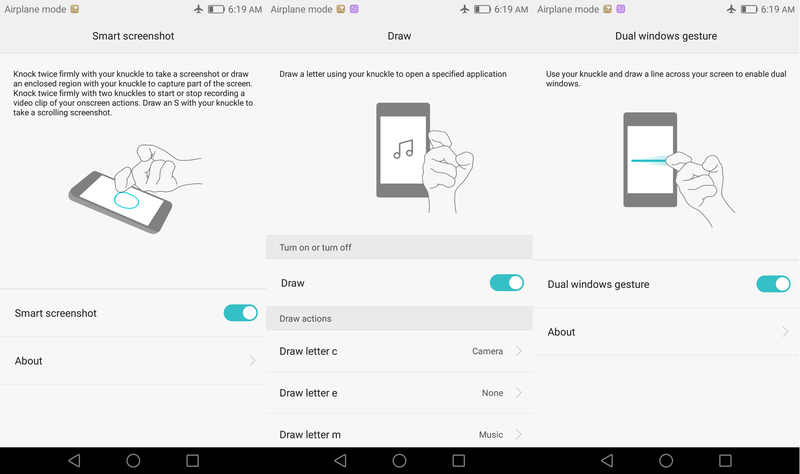 you can take a screenshot by knocking the screen twice with your knuckle or you can split the screen in two by drawing a line across the screen with your knuckle. In my experience, this is kind of a hit and miss, so it takes a few tries before you can get it working flawlessly. 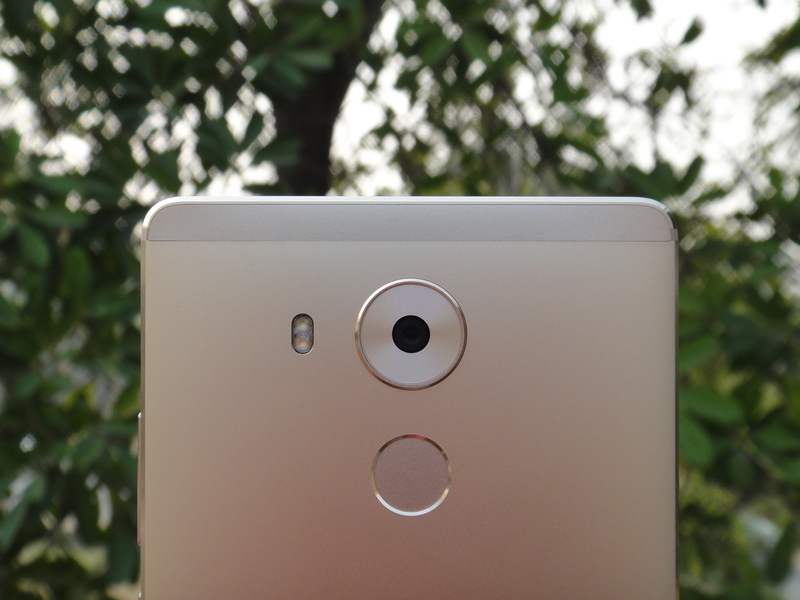 One thing that there is no doubt about is that Mate 8 has one of the best fingerprint recognition implementations in the smartphone industry. As soon as you place your finger on the sensor, it takes only a fraction of a second to get you from screen off to the homescreen. Naturally, there are a few improvements that could be made on the software side of the implementation. For instance, there are some parts of the UI where I still have to enter my PIN instead of being able to use my enrolled fingerprint. Moreover, unlike with the Mate S, you can not use Mate 8’s fingerprint sensor as a trackpad. Huawei Mate 8 has a 16MP primary camera which packs modern functionalities such as Optical Image Stabilization and dual-LED (dual tone) flash. There also is a 8MP secondary camera present for the selfie addicts. Mate 8’s camera interface is quite simple and similar to what we have seen before. Sliding left or right allows you to switch between different camera modes. 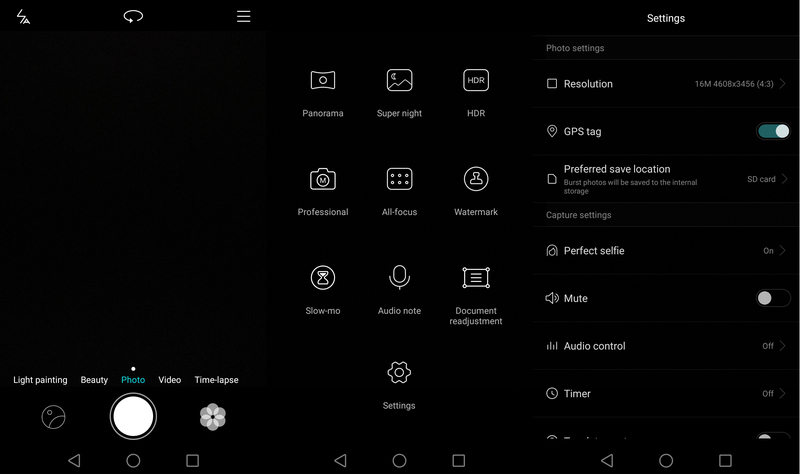 More camera modes and settings are available from the three buttons present on the top edge of the screen. Despite being great on paper, Huawei’s primary camera is not able to stand up to the competition. Image colors aren’t as vibrant as you’d expect. Also, most images turn out soft and lack detail that you’d expect from a 16MP shooter. Not to forget, there is a noticeable noise in low-light portions of the images. Build quality looks and feels premium but the design isn’t exactly oozing. 6.0″ IPS-NEO LCD is not as punchy as an AMOLED display but good enough when compared to other LCD panels. Sunlight visibility of the IPS-NEO LCD display is average and could’ve been improved. HiSilicon Kirin 950 CPU performs exceptionally well but the Mali-T880 GPU is underpowered. Mate 8’s 4GB RAM is more than enough for fluent application switching. Excellent battery timings that provide more than a day of heavy usage. 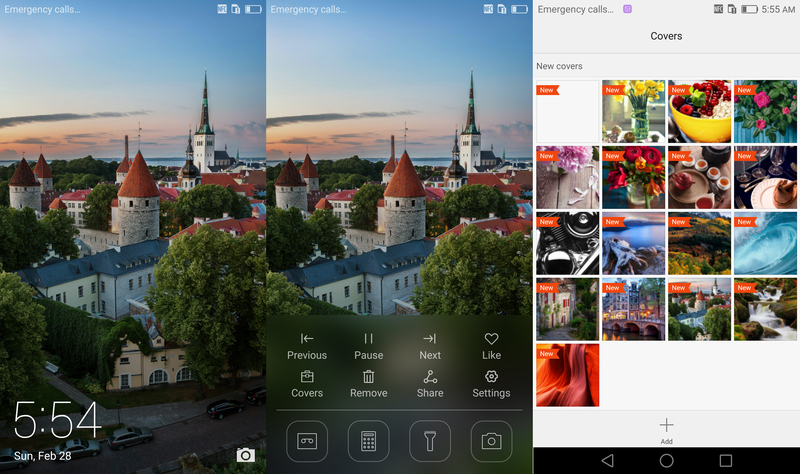 EMUI v4.0 has improved and allows more customization than ever but still has a long way to go. Fingerprint recognition on the Mate 8 is one of the best; it is quite accurate and blazing fast. Primary camera has average quality; resulting images aren’t vibrant, have noise and lack detail. To sum it all up, Mate 8 is a smartphone that was built to be amazing but isn’t quite there yet. Huawei has got most of the things right with the Mate 8 but there still are more than a few kinks that need to be ironed out. Not to forget, it has been priced aggressively to compete with the Galaxy Note 5 but lacks productivity features such as the S-Pen or a better implemented multi-window functionality. 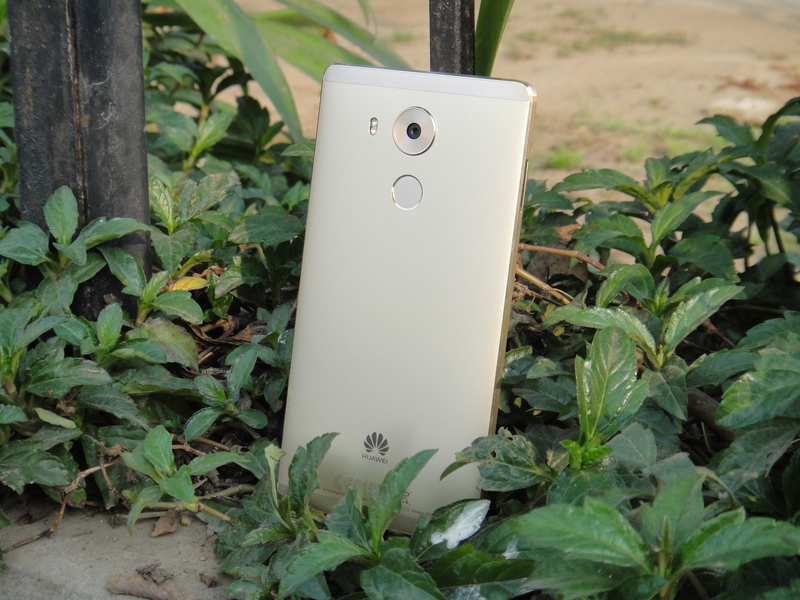 In the end, if you’re looking for a multimedia smartphone, the Huawei Mate 8 is perfect for you because of its large display, great battery times and microSD expansion slot. However, if productivity is your main concern, we’d suggest that you look elsewhere because there are more productive handsets available in the market. I have Mate S. mujhe Call Logs nahi mil rahe us main, kidhr hote hain for exmaple missed calls, dialed calls. It has Emotion UI 3.3 i guess. Good device but very high priced. Should not be more than 50K for 4Gb device. ya asus zen phone 2 with 4gb ram might be a better option. I love the design of Huawei’s premium devices.But Huawei has to improve their UX. They have the ugliest UI. I am wondering how they became the world’s third largest smartphone maker… Secondly, they should stop airing their TVC’s now which shows that the Mate 8 has the world’s fastest processor which is not. It is outperformed by the Snapdragon 820 and Exynos 8890 used in Galaxy S7 and S7 Edge. actually their phones are quite cheap in India , China and host of other countries in SE Asia and EU. The pity is that they charge premium for the same stuff from Pakistanis. And besides Pakistanis dont bother much about which is fastest or not and nor there is any law to fine companies due to false advertisements. So Pakistan mei sab aysa chalta hai………. Huawei has worlds most ugliest software in the world. 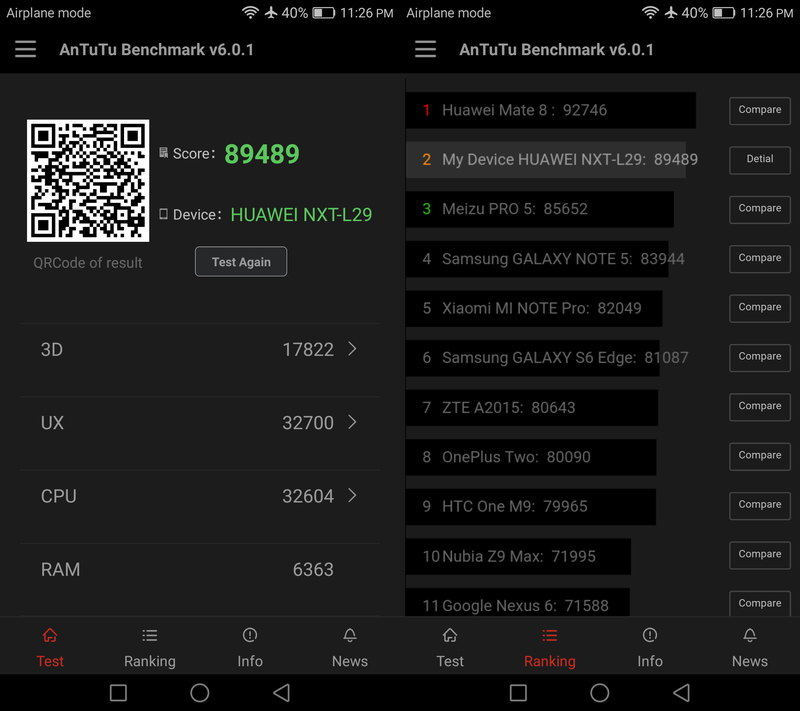 This is just something AnTuTu does. I’ve tried it with a few other phones (Galaxy A7 & Note 5) as well and the results are the same. The reason why there is another Mate 8 on top is because that is either average or the highest ever score recorded for the Mate 8.